It's more rare these days to find a film as unique as André Øvredal's TrollHunter (Norwegian title: Trolljegeren). 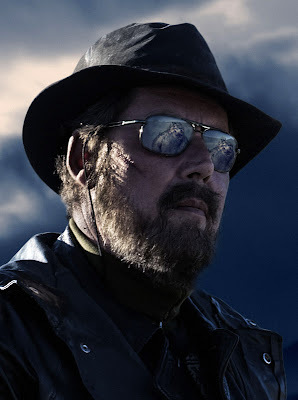 Set in the mountains of Norway, college students Thomas (Glenn Erland Tosterud), Johanna (Johanna Mørck) and Kalle (Tomas Alf Larsen) investigate a series of mysterious bear killings. They soon learn that things are not as they seem and begin to follow mysterious hunter, Hans (Otto Jespersen). 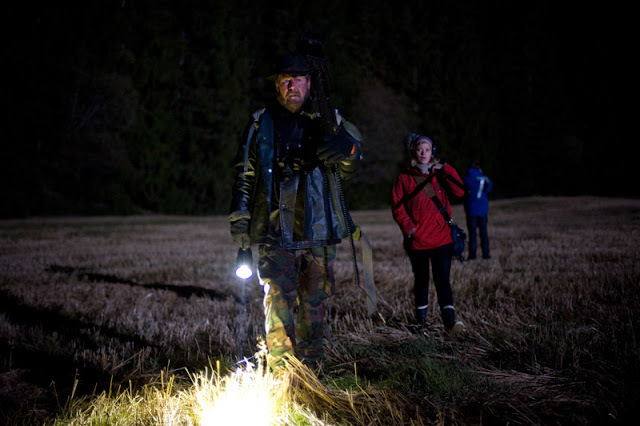 Borrowing elements of documentary-like films such as J.J. Abrams's Cloverfield, director Øvredal combines "lost footage" material with Norwegian folklore. Better yet, Øvredal and contributing writer Håvard S. Johansen create characters with enough dimension for the audience to invest in. It's their performances that really drive the film's conceivability. 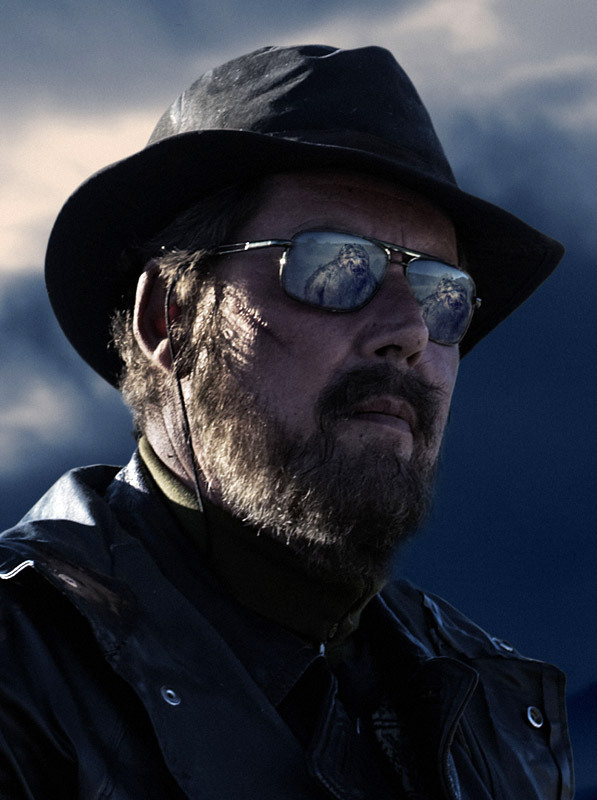 From the resistant students to Trollhunter Hans's tired demeanor, it's easy to accept the film's premise and enjoy the journey. Hans helps expose Norway's secret as he reluctantly agrees to allow the students to film him as he takes on the menacing trolls. The students of course think he's mad and set out to disprove his story. As the film progresses not only do we witness Hans's battles but we also learn his distaste for this profession. And like all great hunters, Hans displays a true respect for the creatures and sadness for their removal. With incredible scenery and powerful sound design, we are brought into Hans's world. The anticipation for each battle is excruciating as we are allowed to feel the presence of a monster just a few feet away. And their mastery of camouflage makes our fear build to the point of edge-of-the-seat terror. And because the camerawork is completely through the point of view of a student you find yourself wanting to help him get a better angle for closer look. I honestly found myself moving my body to look past a tree. There was a moment of embarrassment but it's to the credit of the director that made me, the audience, invest that amount of curiosity. 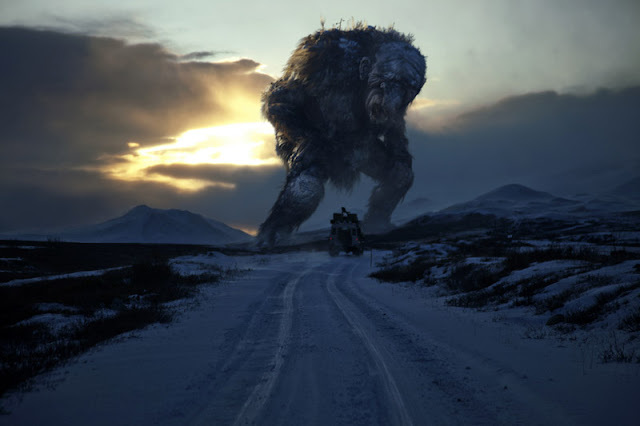 Thanks to a great director and his amazing cast and crew, TrollHunter transforms fairytales into something very believable. It's amazing it was achieved with the budget of an independent film (roughly $3,000,000). It's truly a testament to Øvredal's use of character as opposed to special effects. It's true that films like this are getting harder to find but they're definitely out there. 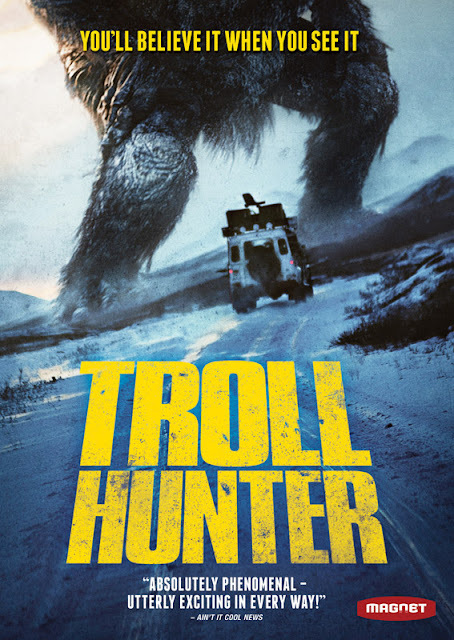 TrollHunter is currently available on Netflix Streaming; add it to your queue today. TRIVIA: The film contains several references to old Scandinavian folklore. The goats on a bridge and a troll under it are a reference to the "Three Billy Goats Gruff".